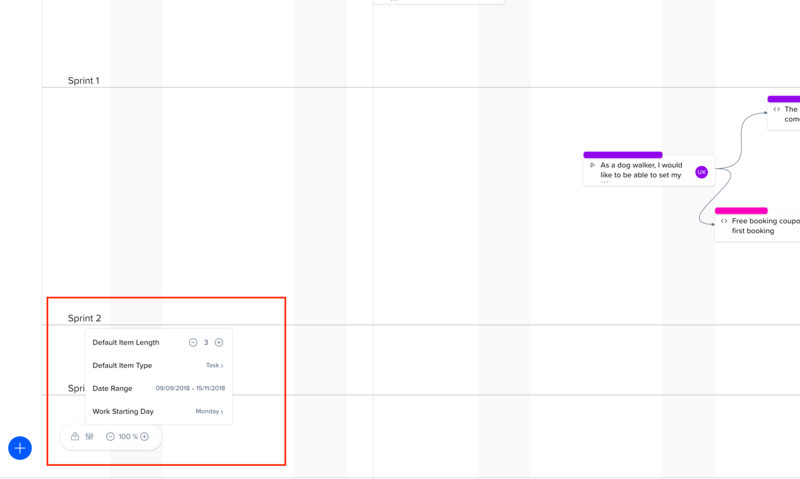 The Timeline view is a great way to visualize how your user stories, improvements and other items are being progressed across time. use it for planning, tracking and to set dependencies. The timeline view will show any item in your product that has either start date or end date. You can set those under the work log section in the items properties panel, or from the search panel, when you are in Timeline view. Items showing in Timeline view will visualize any dependencies they have with the relevant shape arrows. You can also set and edit dependencies directly from the Timeline view. To add an existing item to the Timeline View, set its start or end date (or both). You can do this from the Work Log section in the items properties panel, or directly from the search panel while in the Timeline View, using the date icon, placed to the right of every item in your search results. Craft will show all your items without start and end date values in the search panel, by clicking the Assign icon from the floating action bar. To add a new item to your Timeline View, double click on the relevant date and group you’d like to add the item to. Default Item Length - The default number of days when creating a new item. Default Item Type - The default item type when creating a new item. Date Range - The date range the viewable Timeline workspace will start and end in. Work Starting Day - The first day of your working week day.